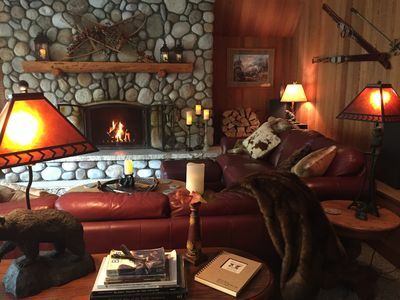 Crisler Cabin is a beautiful custom log and timber cabin set on 5 secluded acres with panoramic views of the Wild Sky and Mount Baker Snoqualmie Wilderness Areas. 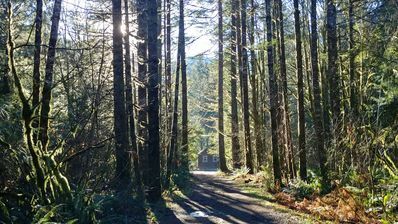 The cabin is located near the town of Skykomish and is accessible from Seattle by Highway 2 – a national scenic highway making up part of the Cascade Loop. 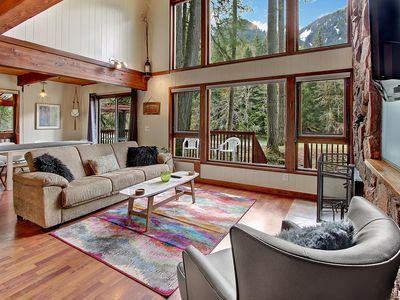 Just 15-20 minutes from Stevens Pass with endless opportunities for hiking, skiing, snowshoeing, fishing and more! 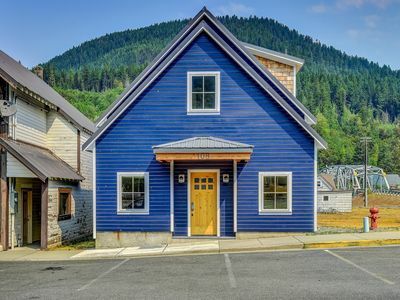 Skykomish is the closest town to Stevens Pass on the west side and is headquarters for world class outdoor activity in the surrounding mountains. 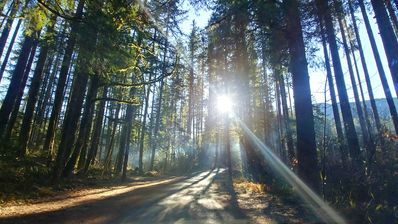 There are many outdoor activities nearby such as skiing, snowboarding, snow shoeing, snow mobiling and sledding in the winter as well as white water rafting, kayaking, hiking, rock climbing, mountain biking, fishing, hunting, and horseback riding in the summer. 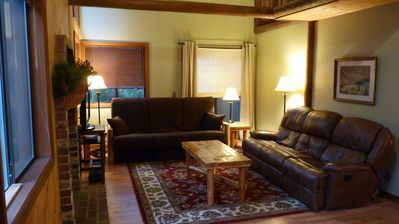 Stevens Pass Ski Resort is located just 20 miles from the cabin and offers great downhill and cross country skiing, snowboarding, snow shoeing, and now summer mountain biking. Peaceful and comfortable 3 bedroom, 2 bath, 1950 sq. 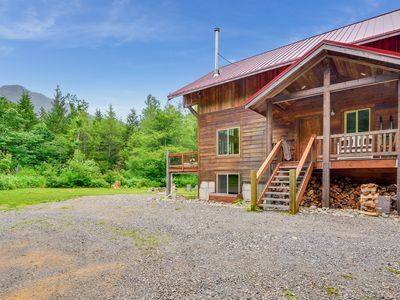 ft. home on 5 forested acres with panoramic views of Grotto Mountain and Wild Sky Wilderness Area. 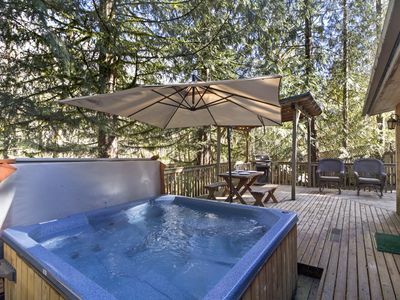 Rustic River Paradise w Hot Tub & Mountain Views! Pet Friendly! 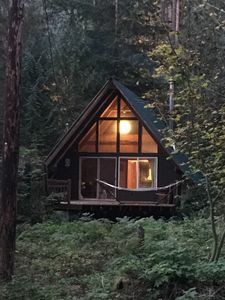 Alpine A-Frame Cabin w Hot Tub, Deck, Fire Pit, 15 min to Stevens! 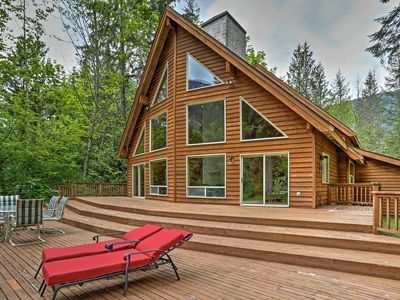 Spectacular Riverfront Getaway, Expansive Views, Hot Tub, Perfect Ski Retreat! 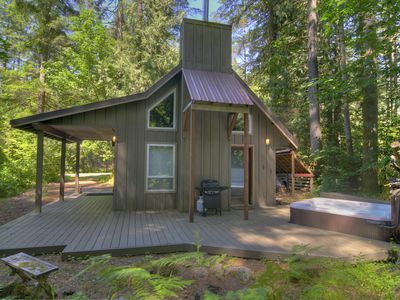 Adorable Chalet w Hot Tub Near River, 15 Min to Stevens! Mountain Charm! NOW 10%OFF! 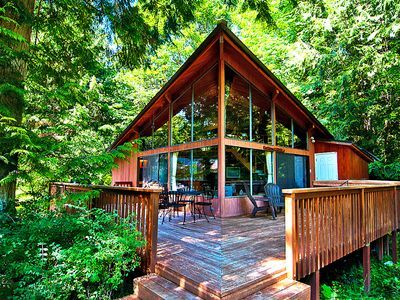 Amazing Riverfront Ranch w Hot Tub, WiFi, Cable, Guesthouse, Huge Deck, Perfect for Groups! 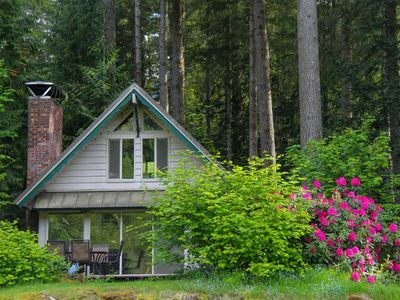 Riverfront Mysty Mountain Cabin w Hot Tub and Sauna Close to Stevens! 5 Private Acres! 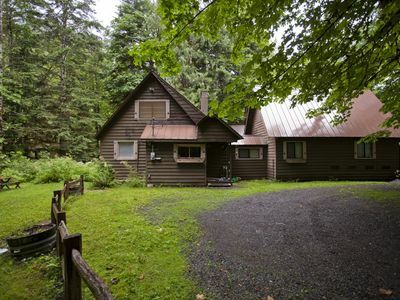 Little Bear Lodge on Secluded Acreage, Mtn Views, Pet Friendly! 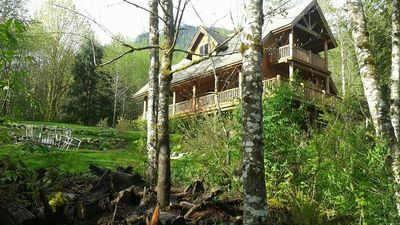 GetAWay Ski Cabin 13 miles to Stevens Pass, HOT TUB! 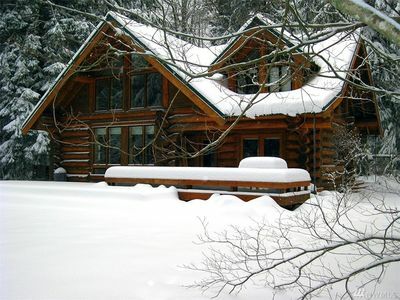 Spacious luxury Log Cabin close to skiing on secluded river frontage lot! 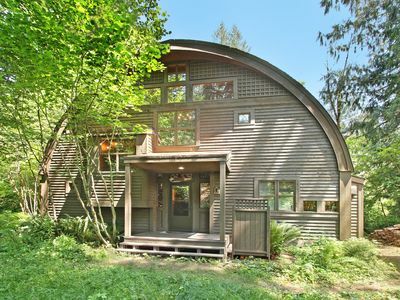 Stunning Cabin on the Sparkling Skykomish! 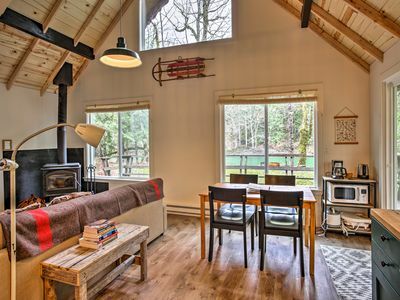 High Ceilings, River and Mountain Views, Hot Tub! 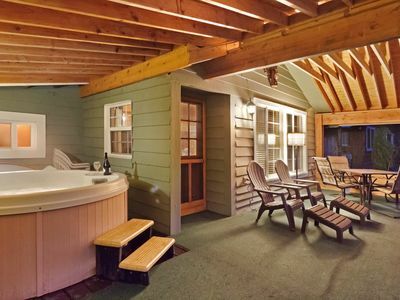 Riverfront Barrel House at Timberlane Village w Hot Tub, Unique & Memorable! 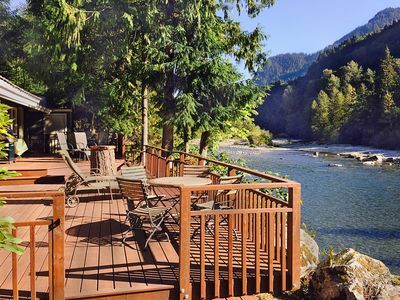 Luxury Baring Lodge w/ Views on Skykomish River! 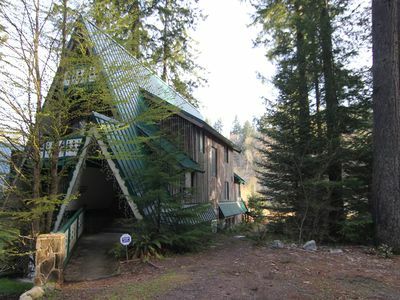 Riverfront 'South Fork Cabin' in Baring w/ Hiking!